Our premises ensure you a comfortable and pleasant way of spending your precious vacation time – you will experience a convivial and homey stay directly at the picturesque market square of Hallstatt. 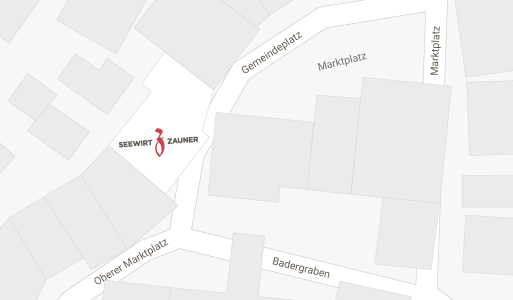 Since more than 120 years Seewirt Zauner has welcomed guests from all over the world and is known to be a popular venue for various kinds of events, e.g. musical events, meeting of Traditional Costumes Association, and many more. Our guests are served regional delicacies from the Salzkammergut. 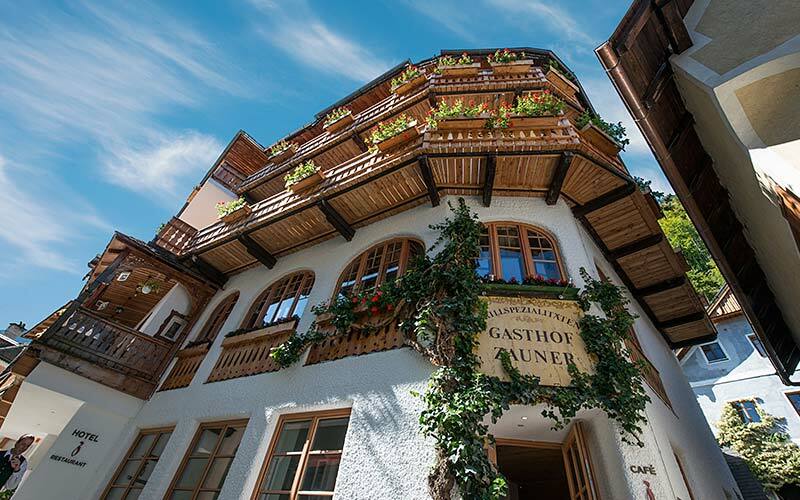 Our restaurant is famous for its broad offer of delicious game found in the Dachstein mountain range and tasty fresh fish from Lake Hallstatt and the surrounding streams. We are said to be the fish restaurant in the inner Salzkammergut among both locals and tourists for good reason. The new Salzbar provides you with appetizers and refreshing pre-dinner or perfect after-dinner cocktails that make you wind down at the end of the day. Our refurbished rooms equipped with furniture fabricated of Swiss stone pine invite you to spend a recreative time enjoying an incomparable comfort for an excellent night’s sleep. From lake to kitchen in a matter of seconds. Grilled whitefish on fresh saisonal salad and boiled parsley potatoes. You prefer a lovely view from the window while eating? You fancy a room with view to the lake? We will be glad to satisfy your wishes. 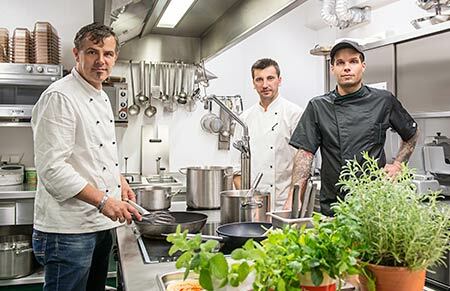 You may reach us on phone from 8 a.m. to 6 p.m.
Fresh fish from Lake Hallstatt, game from surrounding forests, vegetables from regional producers – taste the wonderful diversity of our region. Dip into our latest menu. Get yourself a treat in our restaurant from 11.30 a.m. to 2.30 p.m. and 6 p.m. to 9.30 p.m.